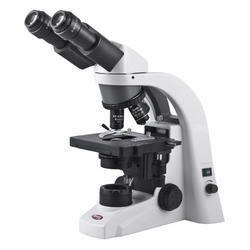 Prominent & Leading Wholesale Trader from Mumbai, we offer laboratory microscopes. Available with us is a wide range of Laboratory Microscopes. These are used to get a magnified image of details of small objects, which are not visible from naked eyes. Our microscopes are used in a variety of Laboratories, Research Institutes and others. We also provide Digital blue QX5 Computer Microscope that is available in magnification of 10X,60X, 200X. Looking for Laboratory Microscopes ?